Kitchen worktop in any house is one place that you will have to clean daily, sometimes multiple times a day. The surface has to bear chemical cleansers to harsh abrasives for years and it becomes a hell of task to maintain the shine and elegance of worktops. It’s a critical issue as how to keep worktops clean and shining without using cleansers and methods that are harmful in long term and decreases the life span of material. We have some simple tips to help you out with the maintenance of kitchen worktops. 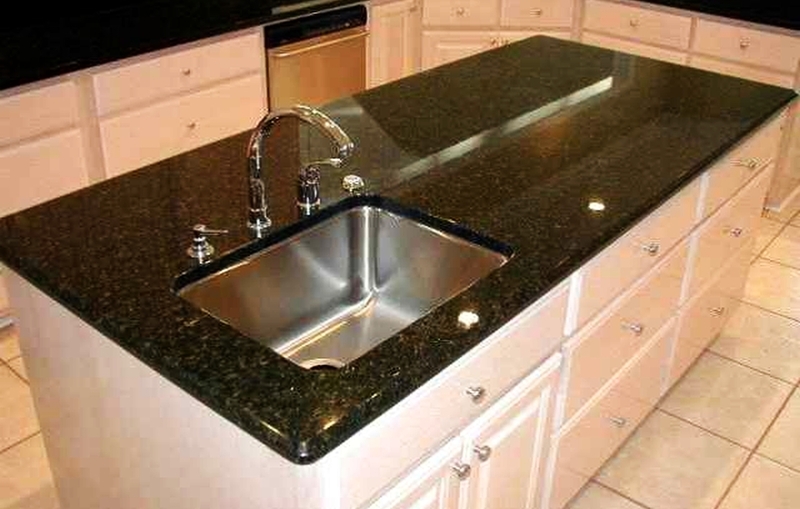 Granite and Marble worktops have porous surface that can absorb substances they come in contact with. The best way is to clean it the very moment you see coffee drops or little wine, oil or vinegar on worktop surface. Don’t give it time to settle. 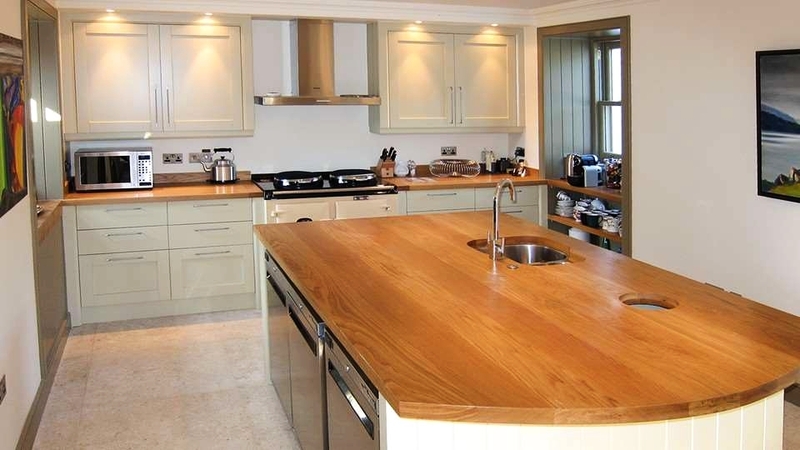 A soft cloth or sponge with neutral liquid detergent is recommended to clean these worktops. Don’t forget to dilute detergent in water. Do not use acids and hard abrasive with hot soapy water. If the stains are tough to remove, you may use warm water and vinegar for cleaning them without exerting too much friction with abrasives. The abrasives and strong chemical cleaners will tarnish the surface. 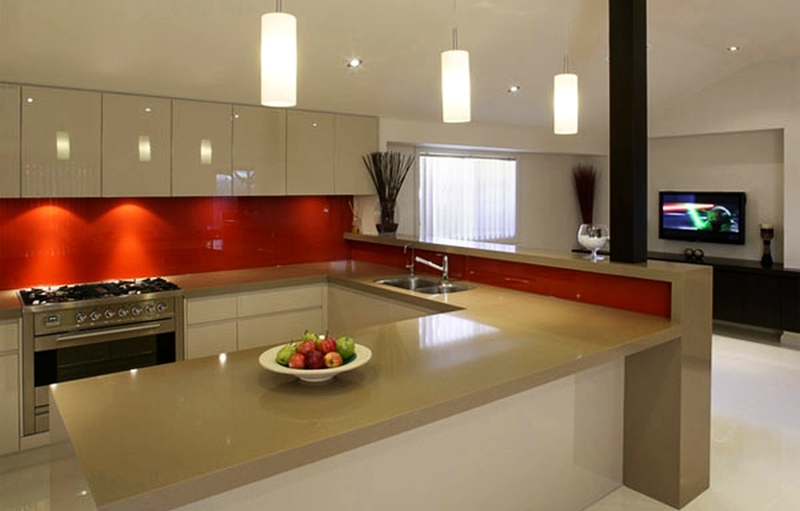 Quartz countertops are composed of quartz stone and synthetic polymer, forming glossy appearance. Due to these substances the surface of these worktops are non-porous, which makes it stain as well as chemical resistant. Therefore, you don’t have to try too hard for cleaning these worktops. However, some care has to be taken in order to ensure they maintain their lustrous finish for years to come. For cleaning, only water and damp cloth are enough or you can use a mixture of vinegar and water for thorough cleaning. In order to care for quartz countertops, you must avoid quick changes in temperature, hard pressure and you must use non-abrasive cleaners. 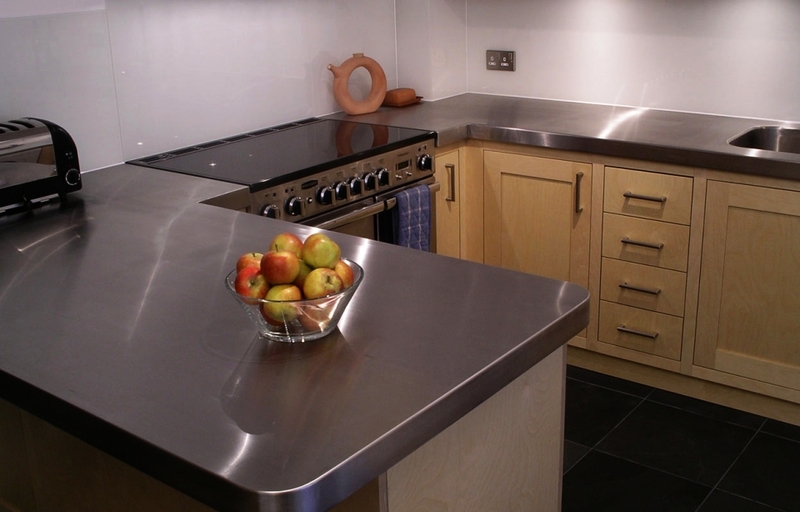 Stainless steel might sound a good option as a stain resistant worktop, but long exposure to oils and water will make it dull, sooner or later. The rate of increasing dullness is directly proportional to your preferred cleaning method and cleansers. A mixture containing one part cream of tartar with some lemon juice when applied to the rust stains with gentle rubbing, will work better than chemical cleansers. In case the rusting is deeper into the surface, apply the paste and leave it for a few hours. Best time will be to apply it at night so that it can get appropriate time to show its magic. For removing streaks use baking soda with a soft piece of cloth. Keep you sink dry after use, and avoid coarse scouring materials to prevent scratches. Solid hardwood kitchen worktops provide natural beauty to any kitchen, but you need to take extra care of these countertops. If mistreated, these surfaces may form scratches and start losing its elegance. Regular oil treatment helps wooden countertops to become richer and deeper in color. For cleaning, a solution containing mixture of water with little percentage of neutral liquid detergent is advised. Use soft and dry cloth to clean wet parts. Avoid furniture polish and wax for longer life.